In examining the microcosm of Sai Baba’s schools, we are assured that the macrocosm of His numerous institutions of learning - now and in the future - produces results of the same magnitude. It was the month of March – the busiest and most crucial period in the life of every 12th Grade student. It would be their second and final rendezvous with a public exam – a test that could make or mar their future. In India, for all schools affiliated with the Central Board of Secondary Education (CBSE), this nation-wide annual assessment conducted by the Board for the students of tenth and twelfth grades is like the Holy Grail. During the peak of this busy and stressful period, the scene inside the Sathya Sai Hostel for Junior Boys was understandably hectic. In one corner of the hostel, Satish was preparing intensely for his toughest paper, just a couple of days away. 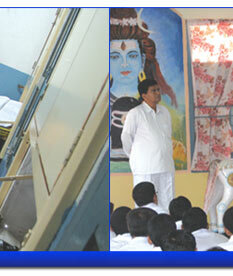 Suddenly, he noticed his classmate Ramesh lying on the bed covered from head to toe. It occurred to Satish that his normally not-so-quiet roommate had been silent for the last hour. So he went near Ramesh and gently touched his hand. His heart sank. His fellow student and dormitory mate was sick. 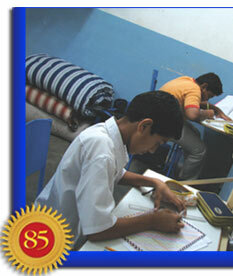 Extremely weak and running a temperature, Ramesh was in no position to prepare for the exams. Satish himself could not concentrate on his studies any further with his classmate in such a helpless state. So, he brought Ramesh’s condition to the notice of those concerned. 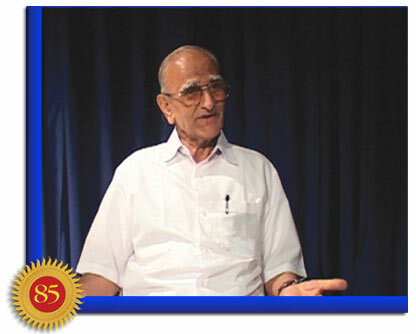 Despite being administered with medication, Ramesh’s energy levels continued to be low. His predicament weighed heavily on Satish’s mind. 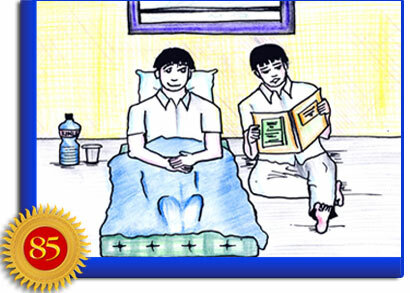 Unmindful of the fact that he had not completed his own study for the tough exam ahead, Satish sat by Ramesh’s bedside and read out all the chapters, questions and answers, explaining every detail slowly and clearly until he was convinced the content was well registered in Ramesh’s mind. It didn’t matter to Satish that he might not fare well in the paper; to him, it was more important that he be there for Ramesh and help him through the most challenging moment of his life. 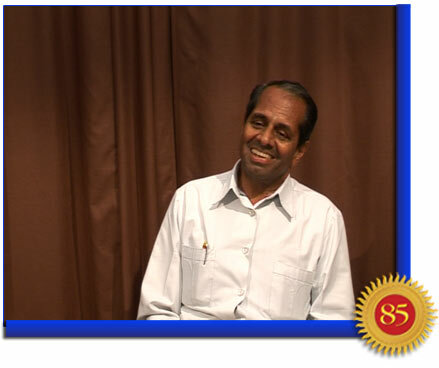 In lending an empathetic shoulder to his friend, Satish did himself proud as a worthy student of Swami’s teachings. 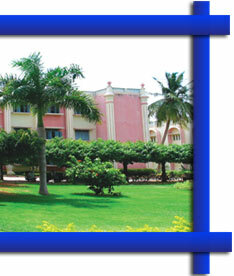 Recently, the Sri Sathya Sai Higher Secondary School made headline news once again with its stellar performance in the nationwide board exams for the students of Grade X and X11. 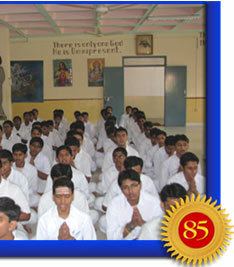 The academic performance is, however, only a tip of the iceberg that is the holistic system of Sri Sathya Sai Education, devoted to the development of the personality of Sai students. 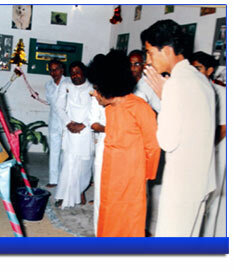 Love for God becomes every student’s second nature in the Sathya Sai system of education. One aspect that contributes greatly to maintaining and enhancing this state of mind is prayer - a reason why life in the hostel begins and ends with a prayer. At the end of the morning exercises, the boys take their shower and settle down for a sound breakfast. 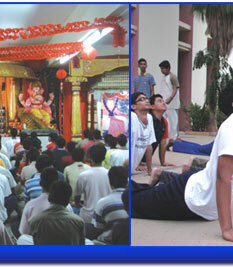 It is with such attitude and mental alertness that the boys finally enter their classrooms where they are taught the secular academic subjects, with generous doses of spirituality added whenever appropriate. Once the classes conclude in the afternoon, they rush back to the hostel for a quick wash, and in orderly lines proceed to the Mandir. Here begins their lessons for life, taught by the Divine Master, Baba, in His own mysterious way - sometimes vocally, at other times silently; sometimes directly and at other times subtly. 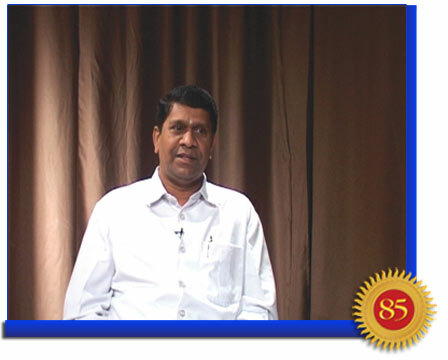 Mr. Habbu narrates a particular experience that took place during his tenure as the Principal of Sri Sathya Sai Higher Secondary School. He says: “It was one of the best days in the nine years of my service. The year was 1991. “For the first time, the school had achieved 100% first class – every student of the twelfth grade had not only passed, but also secured first division. There was joy dancing on my face as Baba opened the door, and I immediately presented the scorecard to Him. For Baba, a few students securing 98% or 99% is not a cause for celebration, His concern is for the last boy. That is how He has built this institution. 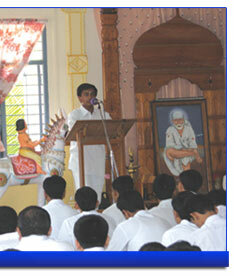 Swami would make many visits to the school to enthuse and inspire the students. 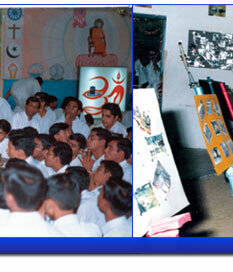 Once, during a science exhibition organised by the boys, Swami was fascinated with the models and interacted leisurely with each student. At the same time, He drove into them precious lessons. Drawing comparisons with schools worldwide that provide education solely for developing the mind, Mr. Misra, the English teacher, points out, “Man is not just a body of intellect, he has emotions and feelings, and more important, awareness, which is based on the soul. “Baba’s school endeavours to develop the entire personality of an individual, which is the most beautiful aspect – while there is development of the body and the mind, there is also enrichment of the heart and the soul, of emotions and compassion. Therefore, what you see as a product is an integrated personality that humanity needs now more than ever. “One day, I was sitting in the Mandir verandah cross-legged on the ground, and writing something. I didn’t have a writing pad or board; therefore, the paper was on my knee. Even though it was difficult, I continued to write with my head down. A student who was sitting a few yards away from me noticed this, quietly came over, placed a board on my knee, and walked back quietly. When I looked up, he was already seated; so I really didn’t know who it was. Nobody had told him; I hadn’t asked for it. 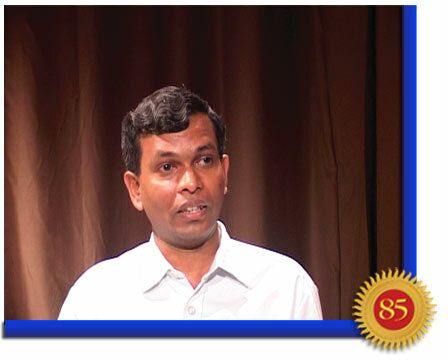 Mr. Sai Surendranath, the teacher who coordinates the talent search programme in the school, talks about some of his precious discoveries. 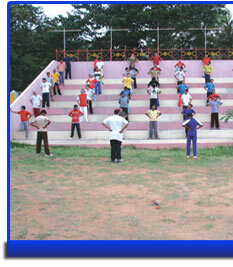 He says, “Over the years I have seen boys who used to fumble while speaking steadily blossom into excellent orators. Those who used to fiddle around with the tabla have gone on to become excellent percussionists confidently performing in front of Bhagavan. Others who were scared to stand and talk now play leading roles in the Convocation drama of the University, and so on. “I remember there was a student in the eleventh grade who used to sing only when he was alone in his room. He had a lovely voice, but would never sing if anybody was around. I encouraged him to come out of his shell several times, but I had no impact on him. Narrating his personal experience, Mohammad Falzuddin, a twelfth grade Muslim student from Karnataka, says: “All my roommates are so kind and co-operative. Whenever I sit down to perform Namaaz during the day, the room suddenly becomes silent. And all the teachers too encourage me to offer daily prayers and observe fasting during the holy month of Ramzan. “During one particular Ramzan month, I was very particular about keeping my Roza or fast for which one is required to partake food before sunrise. So, on the first day of Ramzan, I preserved a little from the previous night’s dinner in my cupboard for the next morning breakfast. This sacred seat of learning remains untainted as it involves no monetary transaction or exchange. 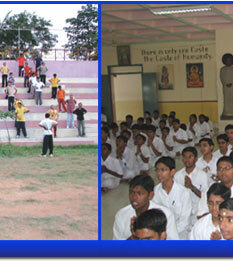 For four decades, all Sai Education from kindergarten to the doctorate level is offered free of cost. 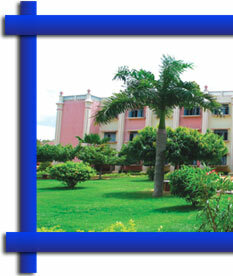 Unthinkable as it sounds, thousands of students have graduated from the portals of the school contributing only a nominal sum for their hostel accommodation and food. No tuition fee has ever been charged. 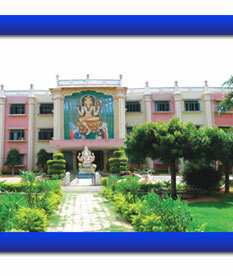 Increasingly, students, parents, educators, policy makers and government bodies around the world see the Sri Sathya Sai Higher Secondary School as the ideal model of education to emulate for preparing wholesome students who can face the challenges of our times with a deeper sense of social and spiritual responsibility. 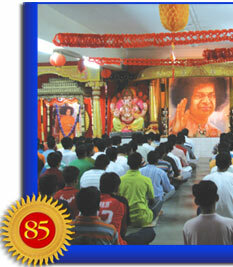 By redefining the true aim of education to be the blossoming of the inner self and the development of human character, Baba has rewritten the destiny of the human race. 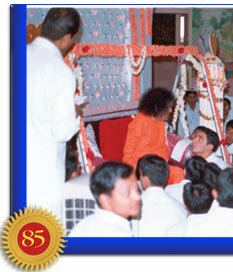 Today, not only in contemporary India, but also around the world, the Sri Sathya Sai Educare is being recognised as the panacea for the ills of modern society.